With four weeks of World Cup football matches about to kick off, what do employers need to be wary of, and are there ways to use the tournament as a way to bring staff together? Personnel Today rounds up five considerations for employers. While a lot of media attention will be focused on England, it’s crucial that managers avoid showing bias for particular teams, warns payroll company MHR. There are, after all, 31 other teams in the tournament. 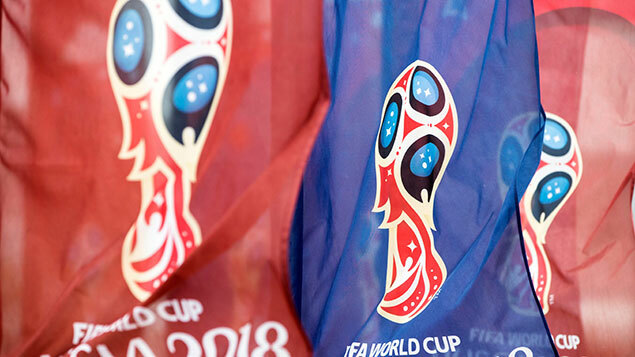 Emma Bullen, HR team leader at MHR, says: “Just because World Cup fever is sweeping the country, it would be wrong to make the assumption that everyone is an England fan or indeed loves football. This understanding should extend to to employees who are not football fans, too. One idea might be to introduce other perks for employees not interested in the World Cup, Bullen adds. There are 63 matches across the tournament, and many of the England games take place outside of the ‘traditional’ working day of nine-to-five and at weekends. Fans that support different teams may of course be keen to see their own matches, as well as the fact England fans may want to watch other big games. A survey conducted by Love Energy Savings has suggested that one in five employees would be willing to take a sickie to watch a sporting event this summer (with Wimbledon and the Tour de France coming up soon too). Adrian Lewis, director at absence management software company Activ Absence, warns that alongside unauthorised sickness absence to watch games, managers will probably need to steel themselves for an increase in hangovers. He says: “The UK is a sporting nation and we really love to get behind our national team or favourite sports person but this can have a negative impact at work. He advises employers to minimise disruption by considering temporary cover and planning how multiple requests for holiday will be handled. “If you can’t authorise all of them, could you compromise and let people watch the fixtures at work instead?” he asks. A recent survey by XpertHR found that only one in 10 employers has a specific policy in place for sporting events. Where policies were in place, the most common elements covered were details of any special facilities or arrangements for watching events during working time, the notification procedure for related annual leave, and flexible working during the tournament. Forward planning and clear communication are considered important when it comes to dealing with major sporting events, however. According to XpertHR’s survey, 83% of employers have an established communications process in place, with email being the most popular medium. Employers that offer more flexible working arrangements during events such as the World Cup do a number of things – the most commonly cited responses in XpertHR’s research were to offer flexible start and end times, considering late requests for annual leave and allowing employees to make up time taken to view events during working time. Being mindful of discrimination is not just about ensuring supporters of all nationalities are considered during the World Cup period, there are potential legal risks too. What starts as banter can leave an employer in hot water. In the Employment Appeal Tribunal case of May & Baker v Ocorado, an employee was asked whether she would be supporting her own country or England during the World Cup. When she replied she would be supporting her own country, her colleague responded “What are you doing here, go back to your country”. The EAT found this to be discriminatory. Employers should also keep an eye on employees’ conduct outside the workplace. In the case of Post Office v Liddiard, an employee had travelled to France during the 1998 World Cup and became embroiled in a violent clash when England were playing Tunisia. The employee was remanded in custody, tried and convicted for violent behaviour. The Post Office dismissed him for bringing the organisation into disrepute (the case attracted a lot of negative press attention). Liddiard claimed for unfair dismissal, and his case went to the Court of Appeal, which sent it back to tribunal on the point of whether the investigation and process prior to his dismissal had been fair. 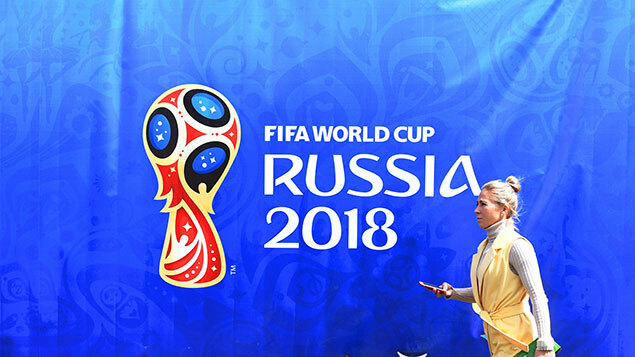 In either case, the key for employers is to ensure that any issues that arise during the World Cup or other major sporting events are treated with due process and are fair and transparent. Major events such as the World Cup are an ideal opportunity to bring teams together and drive employee engagement. And if you’re thinking about laying on drinks and sandwiches for staff when matches are played during the working day, there could even be associated tax perks. Guy Sterling, a tax partner at accounting firm Kingston Smith, reminds employers that there are no tax liabilities for “benefits in kind”, up to a certain level. “Trivial benefits, to give these modest jollies their rather disdainful title, are now largely off the tax hook,” he explains. “A few bottles of lager and packets of crisps are fine, provided they don’t cost the employer more than £50 per head. “The benefit must not be cash or a voucher that is exchangeable for cash and cannot be used as part of any salary sacrifice arrangement. Apart from some restrictions on directors, there is no limit to the number of these benefits,” he adds. So if your team makes it to the final, the parade of unlikely victories can be celebrated at the boss’s expense.